Infrasound Case Studies (2.4M ppt) Power Point Slides from Paul Golden's presentation at the 2008 Infrasound Technology Workshop. 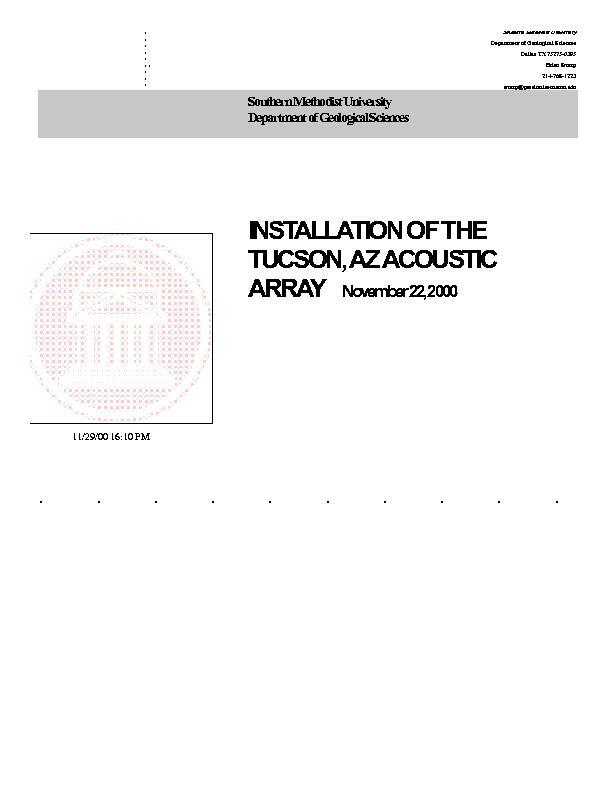 Here are the same infrasound slides (2.5M pdf) in Adobe Acrobat *.pdf file format. 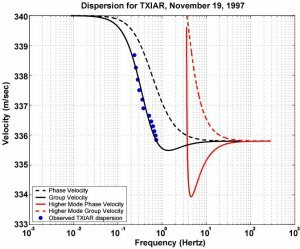 High Altitude Infrasound Calibration Experiments (4 Meg pdf) An obstacle to refining our knowledge of infrasound propagation and improving source location techniques has been the lack of sources with known yield, location, and time. To improve understanding of the most pressing research issues, a calibration experiment was organized involving six rockets, each carrying a small payload of chemical explosives. Explosions in the Stratosphere. 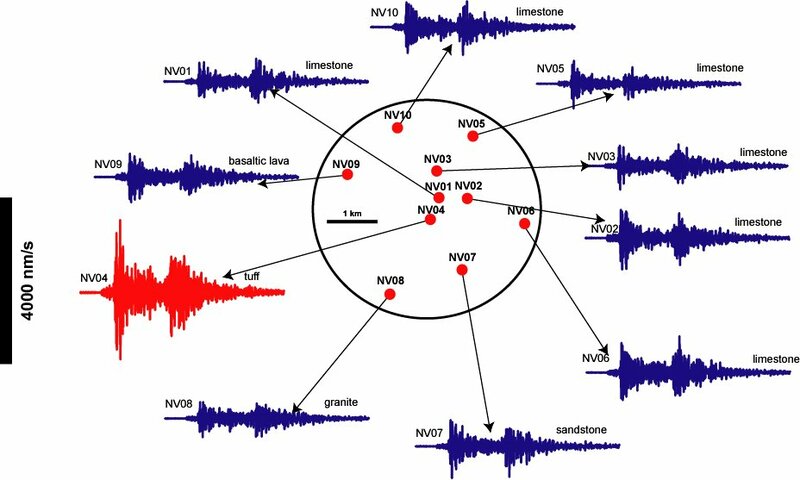 A series of controlled high-altitude explosions of sounding rockets launched from the White Sands Missle Range produce a truly unique infrasound dataset. 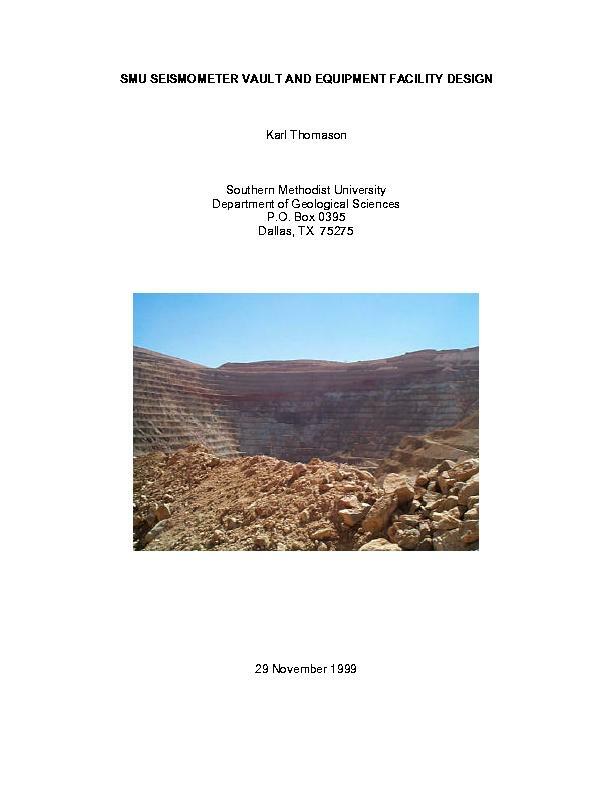 The primary goal of the project is to improve understanding of the fundamental physics of the generation of infrasound from explosions and the atmospheric dynamics affecting propagation of infrasound signals. Results indicate that the phase of an infrasound signal can be strongly distorted by short-term (hours) dynamics of the atmosphere. Infrasound Signals from the Re-entry and Explosion of the Space Shuttle Columbia, 01 February 2003. 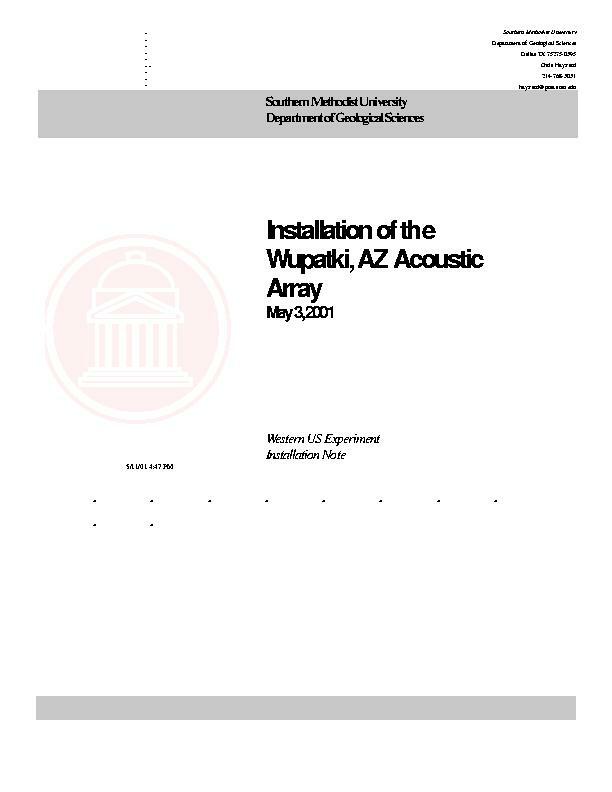 The infrasonic acoustic sensors at the NVAR array in Nevada and the TXAR array in south Texas recorded the N-waves (sonic booms) and subsequent disintegration of the space shuttle as it passed over Neveda, New Mexico, and North Texas. The timing and location of these events are calculated from the azimuths and arrival times of the signals. A technique for recording GPS timing signals on video tape for correlation with seismic and acoustic data sets. 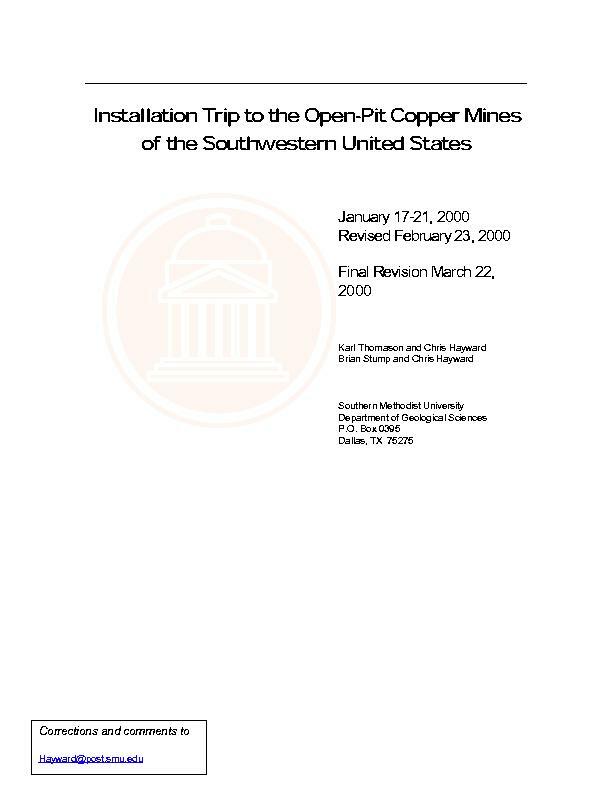 This paper is also available as an MS Word Document (1.5 Meg). 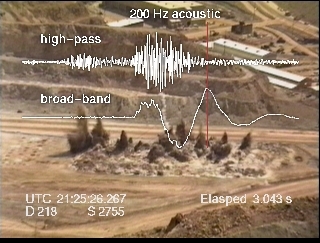 Bulk Mining Shot mpeg (1.7M) 200 Hz Broadband and Hi-pass Acoustic Signal. Waveforms are time aligned with GPS synchronized video for broadband and high-pass filtered signals. Time stamps display UTC and elapsed time for the blast. The video has been de-interlaced to produce a slow motion (1/2 speed) display with a resolution of 16.667 milliseconds per frame. 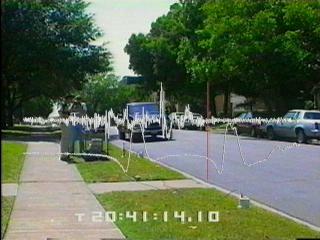 Passing Cars mpeg (2.4M) Broadband and Hi-Pass Signals with time aligned GPS-synchronized video, illustrating pressure wave as vehicles pass the two acoustic sensors located about 20 feet apart on the grass between curb and sidewalk. 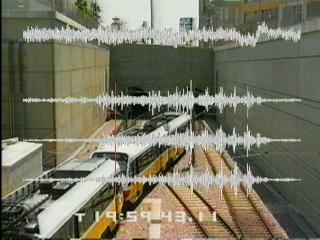 Train Entering Tunnel mpeg (6.6m) Broadband Acoustic and Seismic Signals with time aligned GPS-synchronized video. Acoustic pressure gauges are placed along the side and above the tunnel entrance, and seismometers are placed on the wall directly above the tunnel. 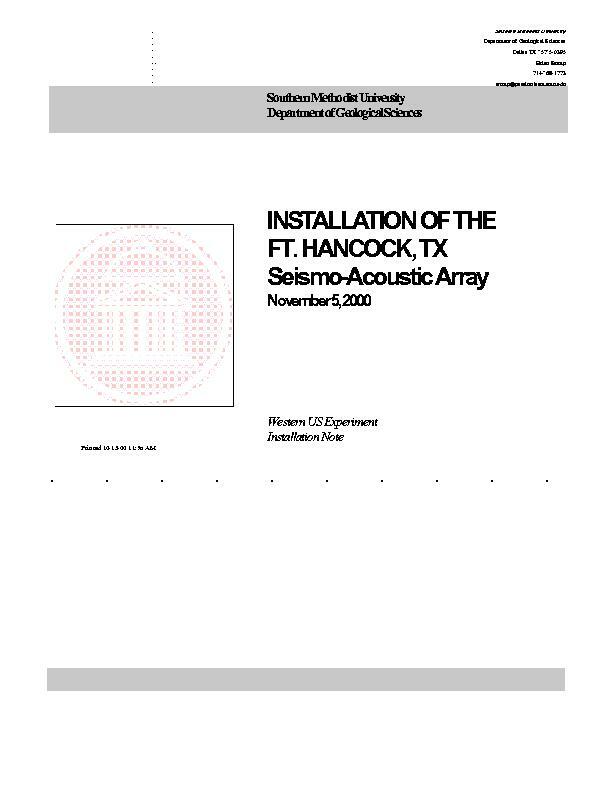 The broadband acoustic waveform is displayed at the top of the image with the three-axis seismic signals beneath. Infrasound Site Survey Site selection survey for Peale and Wake Island infrasound installations, local geology, array design, array response, and recommendations: Paul Golden and Eugene Herrin. Noise Survey for Wake Island: methodology, data acquisition equipment, data processing technique, micropressure data, meteorological data, instantaneous wind speed, recommendations, and PTS response. 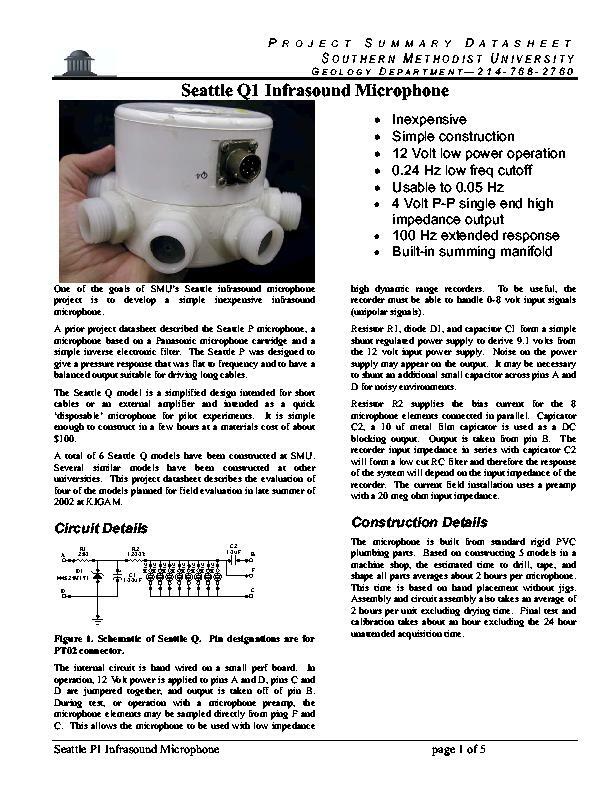 Click on the thumbnail to view the first page of the paper as a jpeg image. 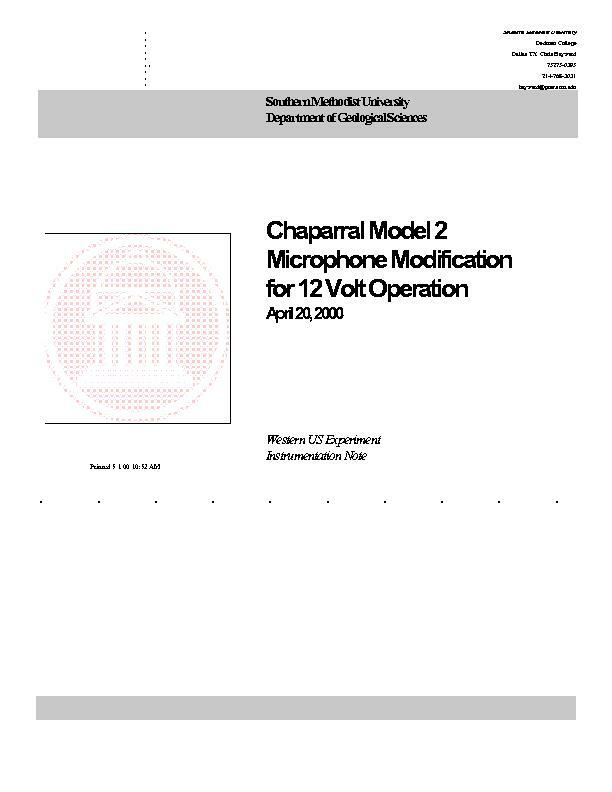 One of the goals of SMU s Seattle infrasound microphone project is to develop a simple inexpensive infrasound microphone.